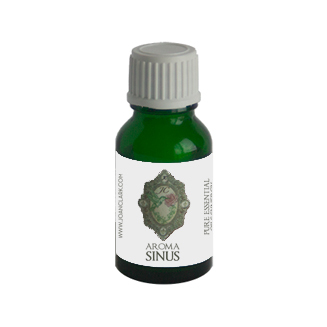 Aroma*Sinus is our synergy that empowers our ability to look honestly and truthfully at what is right in front of us. It is an aroma for empowering our discernment and our ability to know when we are being controlled and manipulated by others. Or, if we are projecting that on to others. It helps us to allow people close to us to be in our lives but not take over. Aroma*Sinus is also good for when we are feeling manipulated, controlled, irritated by outside situations, people, or circumstances. When experiencing sinus congestion, hay fever, seasonal headaches and finding it hard to breathe because of outside pressure that you are stuffing inside. Contains: Blue Chamomile, Cypress, Eucalyptus Smithii, Fir Douglas, Helichrysum, Lavender, Peppermint, Roman Chamomile.